Get notified when Foo Fighters tickets are available! Foo Fighters is an American alternative rock band founded by Dave Grohl after his band mate Kurt Cobain from Nirvana passed away suddenly. The group began as his one-man project in 1994 but expanded to include other members. The current group is comprised of Dave Grohl, Pat Smear, Nate Mendel, Taylor Hawkins and Chris Shiflett. 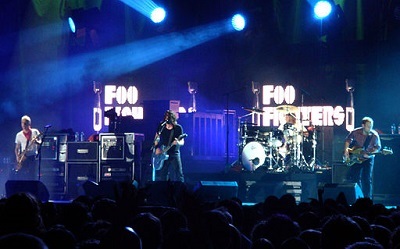 A Grammy winning group, the Foo Fighters have had numerous hits, including the songs “Everlong,” “The Pretender,” “Learn to Fly,” “Best of You” and “Times Like These.” Still active in the recording studio, the Foo Fighters frequently tour, and you can buy Foo Fighters tickets for an upcoming show with the help of the links above.